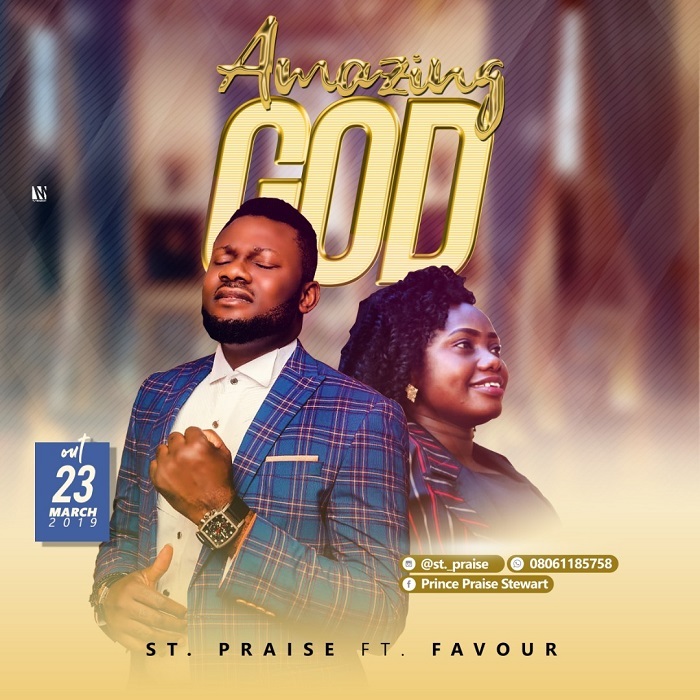 ‘Amazing God’ is a worship song birthed in the place of prayer that declares the wonders of God’s Almightiness in the affairs of men. Psalms 24:1. St. Praise born Saint Praise is an Kaduna based singer, CEO of St.Praise Factory, registered with CAC. He is equally the host of an annual praise and worship meeting tagged ”Worship Contact” (At His Feet) and “Praise Contact” (Praise Tonic).